K. A. Last: Enchantment - It's Finally Here! 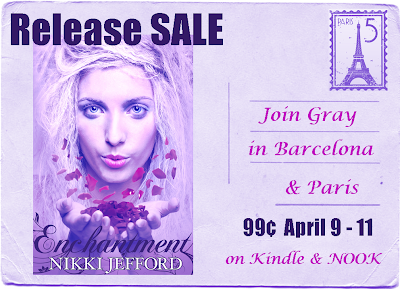 Enchantment - It's Finally Here! Download your complimentary copy at Amazon, Barnes and Noble, Smashwords, Kobo, or the Apple iTunes store. CLICK HERE to visit Nikki's website and enter the giveaway for your chance to win a $25 Amazon gift card.